Speaks started his musical progression at the age of 16 years old. First learning the electric bass with Ricardo Jackson and eventually adding the upright double bass upon entering college. While obtaining his Bachelor’s in Music from Kutztown University and a Masters in Jazz Studies from Rutgers University, Nimrod continued his musical journey on the bandstand and honed his craft in not only jazz, but gospel, classical, soul, R&B and African Rhythms. You can hear much of Speaks soulful tone and influences from masters like: Ralph Bowen, Tim Warfield, Conrad Herwig, Doug Mapp, Vic Juris, Victor Lewis, Stanley Cowell, Mike Richmond, Scott Lee, just to name a few. Speaks splits his time between teaching privately, ministering with nonprofits organizations and traveling with Greg Osby, Dee Dee Bridgewater, Ronnie Burrage, Doc Gibbs, Hanible Lokumbe, Jerry Topinka, Camille Thurman, Curtis Taylor, Dr. Matthew Clayton and others. Most recently, you can hear Nimrod as part of the Allan Harris Band or locally with the Leon Jordan Sr. Trio and also as part of the Luke O’Reilly Trio. His travels have sent him on journeys around the world performing on cruise ships in the Caribbean or the Pacific Coast, to Europe (The Old Market, Hove, UK Brighton Alternative Jazz Festival), or to Africa as part of Afrikkanitha Cast, to name a few. More recently, Speaks could be heard at the Goddard College Theater (VT), at Minton’s Jazz with the Shirazette Tinnin Project (NYC), the prestigious Blue Note (NYC), at the Kimmel Center, The Michener Museum (Doylestown, PA) Chris’ Jazz Café, Kelsey’s Restaurant and Club (NJ), as part of the Philadelphia Jazz Project and at various festivals, with Leon Jordan Sr. Trio at South Jazz Kitchen: the Community Unity Music Festival, West Oak Lane Festival, the Tony Williams Scholarship Jazz Festival, the Philadelphia Jazz Festival, the Center City Jazz Festival, Chicken Bone Beach Jazz Festival, and more. 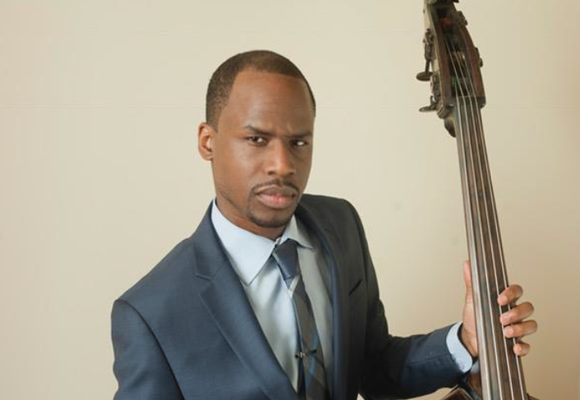 Nimrod is part of the adjunct faculty at Eastern University teaching String Bass, he travels performing workshops and master classes and clinics and is associated with the music ministry at Greater Bethlehem Temple Church of the Apostolic Faith.